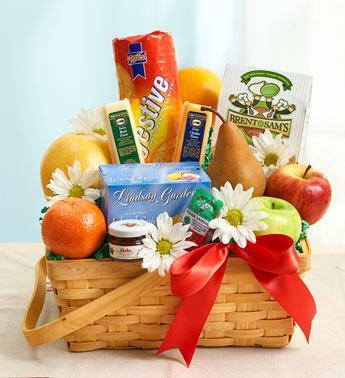 Express your best wishes with a gourmet greeting they won''t soon forget. 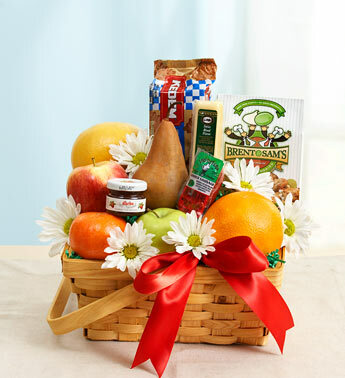 Created by our select florists, this gourmet basket is packed with fresh apples and oranges, grapefruit, pears, sausage, cheese, crackers, cookies and more. Accented with daisies for extra sweetness.